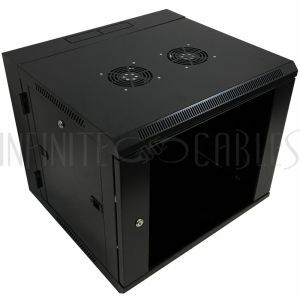 This 6U wall mount cabinet comes with a lockable front door, removable side panels and two fans. It is typically used for housing network and DVR equipment used in small offices and homes. This 9U wall mount cabinet comes with a lockable front door, removable locking side panels and two fans. It is typically used for housing network and DVR equipment used in small offices and homes. 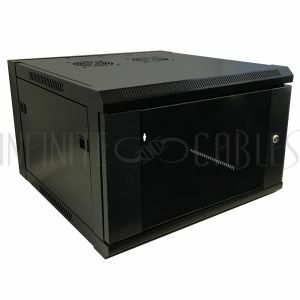 This 15U wall mount cabinet comes with a lockable front door, removable side panels and two fans. It is typically used for housing network and DVR equipment used in small offices and homes. This 6U wall mount cabinet comes with a lockable front door, removable locking side panels and two fans. It is typically used for housing network and DVR equipment used in small offices and homes. 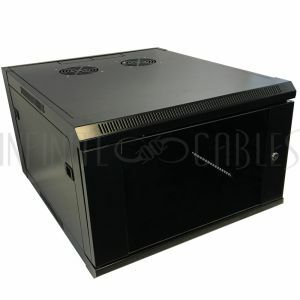 This 9U wall mount cabinet comes with a lockable front door, removable side panels and two fans. It is typically used for housing network and DVR equipment used in small offices and homes. This 12U wall mount swing-out cabinet comes with a lockable front door, lockable swing out back, removable/lockable side panels and two fans. The swing-out back door allows for easy access during installation. It is typically used for housing network and DVR equipment used in small offices and homes. This 15U wall mount swing-out cabinet comes with a lockable front door, lockable swing out back, removable/lockable side panels and two fans. The swing-out back door allows for easy access during installation. It is typically used for housing network and DVR equipment used in small offices and homes.